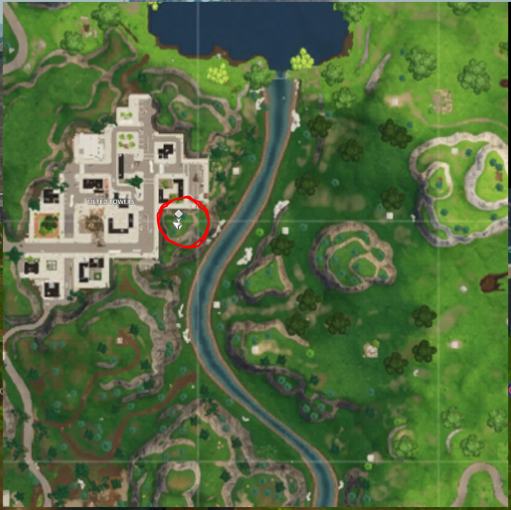 Each week a new treasure map leading to a secret Battle Star is hidden somewhere around the Fortnite map. These maps aren’t always easy to decipher, but to give you a helping hand with the exact spot, here’s where to find the Pleasant Park treasure map location in Fortnite. There are only a couple more days to complete this challenge before the Fortnite Season 5 start date, so be quick! 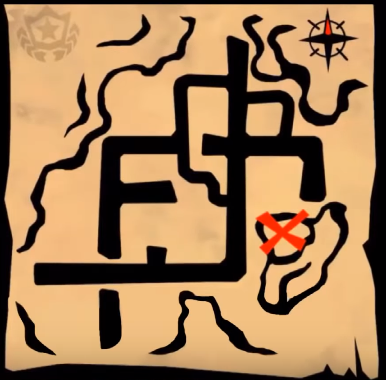 This week’s treasure map is actually one of the easier to work out ones we’ve had – especially compared to the Greasy Grove one last week. If you compare the treasure map to Tilted Towers on the normal Fortnite map, you’ll see that the lines match up nicely with the main roads. 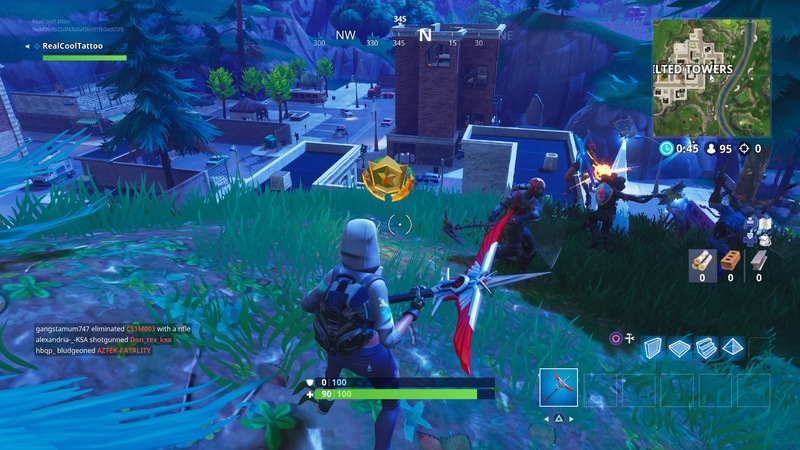 Follow the cross and you’ll see that it marks a hill to the southeast of the city as the Battle Star location for this week. It’s easily accessible straight from the Battle Bus, or even if you fancy stocking up on equipment in Tilted Towers before you make your way there. Seeking out the hidden Battle Star earns you 10 towards your Battle Pass progress, and chalks off one of your challenges for the week. If you complete four out of the seven, you’ll get 5k bonus XP. Complete all seven, and you’ll be one step closer to obtaining the coveted Blockbuster skin.